Today, there are more people who are living longer than in any time in history. This means the population of seniors has continued to soar over the past two decades and thanks to higher life expectancy, more people are expected to reach this age. This projection brings a health question in which seniors have to overcome some of the health conditions they are faced with at their age. 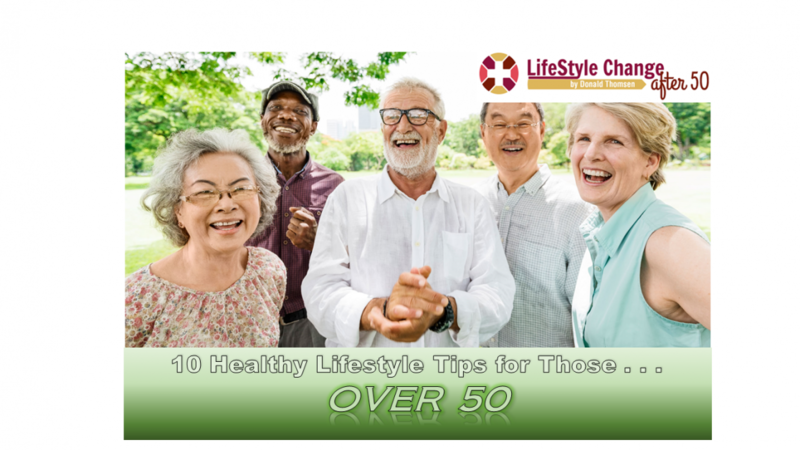 To help folks over 50 achieve a healthy lifestyle, they should consider these tips. Fitness is a key part of healthy living that seniors need to consider to stay healthy. It helps them to maintain strength, flexibility, and balance. With a sensible workout schedule, (one tailored to fit older men & women) it is possible to have better cardiovascular health, and this means one can control illness, reduce stress, and sleep better. Combined with exercise, proper dieting that includes nutritious foods in proper amounts will help to keep seniors healthy. Some illnesses like obesity and heart disease are caused by among other things the kind of diet one maintains. Many of these illnesses can be prevented by embracing a healthy diet and exercise. Stress could escalate to depression and other serious conditions that might lead to negative thoughts. To live a healthy and fulfilling life, it’s important that seniors consider exercising relaxation techniques like yoga and meditation, which are essential means of coping. You can find more ideas on Elevating Seniors that are designed to help you successfully handle stress and related conditions. Your vision, dental, and hearing should be subjected to examinations on regular basis. If properly managed, your teeth and gums will serve you a lifetime, and this means you have to observe proper brushing and regular checkups to catch problems before they escalate to dangerous levels. Smoking accelerates aging and could also cause diseases like cancer. It also leads to problems like erectile dysfunction in men. You can find different resources that can help you to quit successfully and resume healthy living. Injuries are a big blow to seniors and when one gets problems like bone fractures at that age, it could take long to heal. Seniors require long-term care in case of injury, so choose comfortable shoes and where necessary use a walking aid to prevent falling and injuries. As the human body ages, the skin gets lighter and develops wrinkles. This makes it more vulnerable to skin cancer in case of exposure to direct sunlight. The reason is that the protective layer is weakened. Avoid direct sunlight and take a lot of water to moisturize the skin and keep it healthy. Weight increases the risk of getting different illnesses. Some of the illnesses that you are likely to get due to weight issues include heart disease, obesity, and high blood pressure. Avoid sugars and exercise regularly to burn calories. At any age, you should consider improving your gut health. Probiotics offers a number of benefits including reduction of constipation, enhanced immunity, and higher levels of bifidobacteria. Some of the foods that contain probiotics include juices, yoghurt, milk, and soy beverages. Preventive screening and immunization is necessary to ensure your body is protected against diseases that attack when your immunity is weak. Get immunized for common diseases and ensure to prioritize screenings for cancer and other conditions. Every Over 50 person should embrace a health and fitness schedule that will keep their health in check and prevent problems. It should begin with proper dieting and be fanned by exercise and medications to prevent diseases. 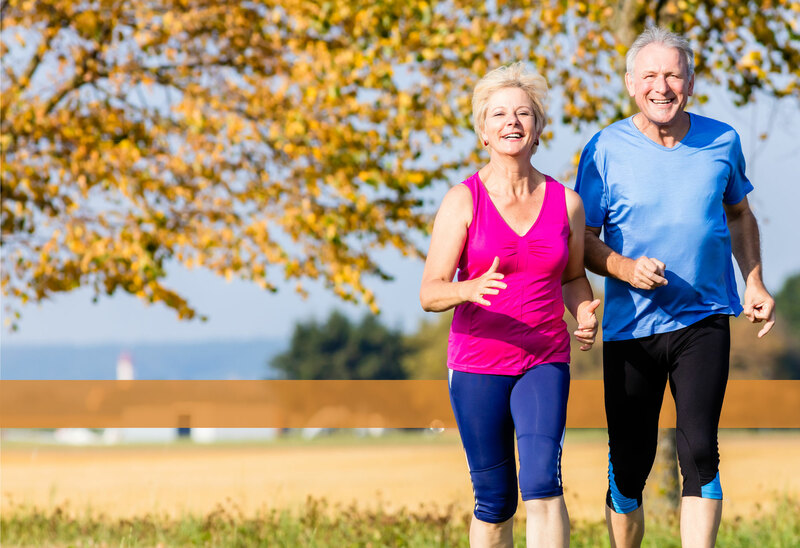 With the observance of all health and fitness guidelines recommended, seniors can enjoy healthy living. I have developed simple, easy 90 day program, designed exclusively for men and women over the age of 50. The secret success of my platform is GRADUAL PROGRESSION! As we age we must take a more effective approach to fitness. Instead of the normal intense application of, lengthy, strenuous weight training sessions and high impact cardio solutions applied 3-4 a week. I eat a healthy, sensible diet. I partake “Daily” in a few minutes (not hours) of easy exercises, designed specifically for my age group. I set and achieve “short term” goals; the only limitations I have are those that I place on myself. As a result, my Fitness and overall health is better now than it was 25 years ago. I’m not saying I have discovered the fabled “Fountain of Youth” but I have come pretty darn close. Check out my offers below: Sign Up and JOIN US in our 12 week Fitness/Wellness Program.